The mystic of the revered distilled rice liquor - sake - is very like the drink itself and reveals itself demurely, blossoming with every sip. A traditional hot sake set . Having relegated fairy tales to the dusty attic of our memory cells, we are content to wallow in a pool of complacent cynicism - stubbornly resisting the notion of happy endings. But, if you were to try and look a little farther, in the land of sushi and manga, you can find the perfect couple still unabashedly in love. Japanese food and sake! To us whisky and beer - guzzling Indians, the accompaniment of food with alcohol is incidental, solely dependent on the insistence of hunger pangs. Sake, however, is an intimate part of Japanese food culture and lends its different facets to exploration through pairing with food. The mystic of the revered distilled rice liquor - sake - is very like the drink itself and reveals itself demurely, blossoming with every sip. But, you can catch glimpses of it in wreaths of mist whispering the secrets of cherry blossom and cypress trees. And, it might just lead you to Miyasaka Brewery, tucked away on a hill in Nagano prefecture. While it is tempting to get sloshed on sake, it is so much more than just your run-of-the-mill booze fix every weekend. The many intricacies of drinking and serving sake trace the tale of its prominent role in Shinto rituals and its deep association with purity. Japan is a glorified idiom, pulsating with vibrancy and the spirit of its cultural symbols, and holding a mirror to this cultural medley and demonstrating its intrinsic nature is sake. So, it is only apt that the brew with a lyrical name - Masumi - is named after an ancient mirror dating from the Heian period. Arching across an emotional spectrum ranging from purity and sanctity to indulgence, its facets are associated with Shinto rituals, marriage and a drink shared with family or friends. The nature of sake, in fact, is so ubiquitously social that custom dictates you never pour a drink for yourself. Those accompanying you refill your glass and you keep topping theirs up. In fact, it is also customary to let the sake overflow and spill into the masu (a miniature personal wooden tray), in a show of generosity. Sake sets are undeniably cute; the tiny, shot-sized o-chokos are accompanied with graceful pouring jugs (tokkuri). 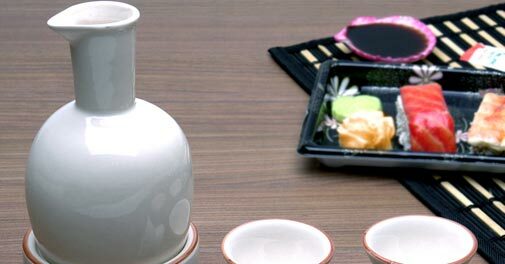 If you want to grace your table with sake, invest in one of these before your guests come over for a sip of heaven. Keith Norum, who heads overseas operations of Miyasaka brewing company, gave a delightful virtual tour of the brewing process while we downed the contents of the prettily arrayed o-chokos. It being a warm afternoon, when all traces of winter seemed to have disappeared, we were settled in the cosy confines of Akira Back, JW Marriott's latest offering in Aerocity. Norum pronounces the Japanese words with ease and narrates Miyasaka's journey with bright-eyed enthusiasm. The lightness and subtlety of sake derives from the extent to which it is milled, a delicate and painstakingly slow process, which yields pearl-like rice. Bales of rice lugged from the Kobe region are polished till they reach the coveted Daiginjo level - translating roughly into super refined, with the rice retaining less than 50% of its original essence. Then, the process of soaking and steaming commences to create rice malt; Norum familiarly refers to it as koji, another critical stage in the process, from which the brewery gets no break. The process of fermentation where sparkling natural water, the polished rice, koji and lactic acid are allowed to discover each others' deepest secrets take nearly six weeks. Armed with the knowledge of the creation of the sparkling concoction, we commenced on the pairing part of the event. The sharpness of the Karakuchi Kiippon cleanly sliced through the hot oil seared salmon, and the Kippuku Kinju had a tang that complemented the earthiness of the succulent wasabi pepper tenderloin. The sake steamed kue simmered in black bean yuzu soy was accompanied with tender stems of baby bokchoy and went down rather smooth with the Tokusen. I confess to not being able to use chopsticks, and barely managed to deal with the embarrassment of grappling with the sushi by gulping down the Okuden Kanzukuri Junmai. Wait! Did I just say Junmai? 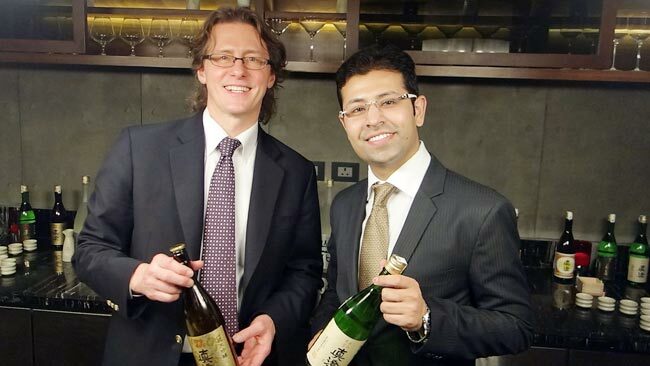 To put it plainly, Junmai is pretty much top-of-the-class when it comes to sake, because it has no brewer's alcohol added to it and relies just on the sheer power of fermentation to deliver a punch. And, I can say with authority, based on my recent experience, that it is quite an interesting option for a sake novice. Sake is best had slightly chilled but if you have a bottle that's been lying around for a while you might consider warming it up a little before serving it. That afternoon, I experienced varying combinations of umami (a quintessentially Japanese term that implies a complex flavour) and I admit that it might just have made me a sake convert.